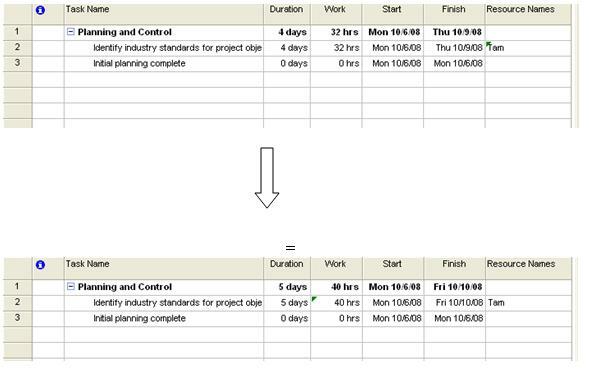 A task in which the assigned units (or resources) are a fixed value and any changes to the amount of work or the task's duration does not affect the task's units. This means that adding Work or Duration to the task will not affect the Units. In this case, adding Work will increase the Duration of the task, and vice versa. Fixed Units and Fixed Work are most commonly used Task Types because they represent most project realities. On Fixed Units task, units will be fixed. If you change the work, duration will be changed. MS Project uses fixed units by default. 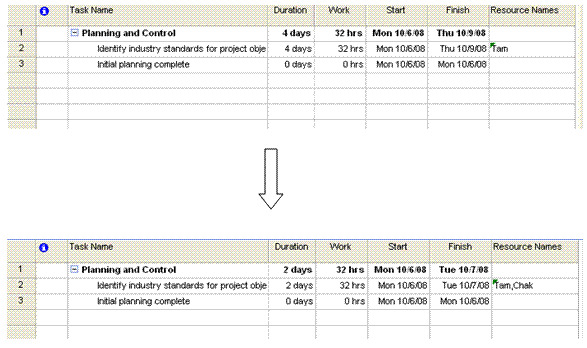 Tam works 8 hours per day from Monday - Friday; Task Type is Fixed Units. If you have 4 day duaration task scheduled for 32 hours. If you increase the amount of work to 40 hours, Project recalculates the duration as 5 days. Now the Tam has an extra day of work on the task.